Anybody else a Valentine’s Day junkie like me?!? I just love everything about it, who cares if everyone sats it’s just a “Hallmark” holiday! This will be a super cute themed shoot! We will have a kissing booth on site as well as lots of other fun props. 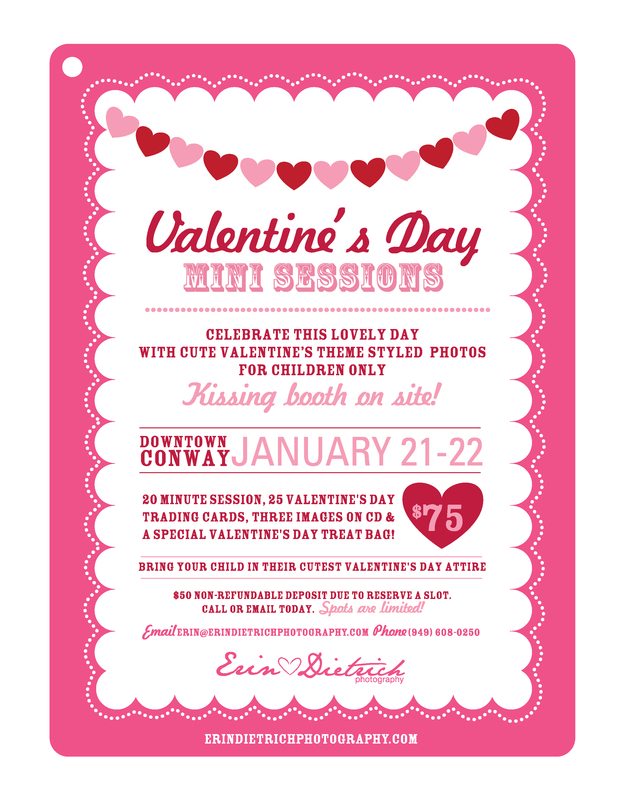 Your child will be the coolest kid in their class with 25 Valentine’s Day trading cards to pass out with their adorable picture on it!